Utah’s not a drop law prohibits minors from using or possessing alcohol. The legal age to consume alcohol in Utah is 21 years of age. There are many people under the legal drinking age who drink alcohol despite the law. Even with Utah’s strict alcohol laws, alcohol is found abundantly throughout the state by minors. Minors can find it at high school and college parties, at restaurants, and from their own parents’ fridges. In order to incentivize minors to wait until they can legally drink, the Utah State legislature has passed laws authorizing the driver’s license division to suspend a minor’s driving privileges if he or she is found to violate the alcohol laws of Utah. Unfortunately, not many juveniles know about or understand the mandatory driver license suspensions. Usually courts and prosecutors will not inform minors of the suspension even after a conviction. This is why it is important for juveniles facing alcohol charges to contact a Salt Lake City criminal defense attorney so they can learn of the consequences of alcohol charges. Too often those facing alcohol charges will not learn of the negative consequences until they receive a letter from the driver’s license division informing them their license is suspended. One of the most common alcohol crimes a juvenile commits in Utah is called minor in possession of alcohol. It includes more than possession, however. 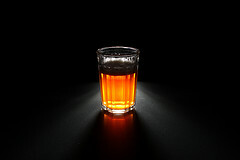 It is unlawful for a minor to purchase, attempt to purchase, ask someone else to purchase, possess, or consume alcohol. It is also illegal for a minor to have any measurable amount of alcohol in his or her body. The court is also required to suspend the driver’s license of the minor but in some cases a defense lawyer can help a minor avoid having the license suspended or reduce the amount of time the license is suspended. Another common alcohol crime juveniles find themselves committing is not a drop driving under the influence (“DUI”). In Utah, a person over 21 years old cannot operate a motor vehicle if the person’s blood alcohol content (“BAC”) is .08 or higher. The standard is different for minors. Minors cannot operate a motor vehicle if there is any measurable amount of alcohol in their bodies. Even if a minor’s BAC is .01 and the minor is in no way under the influence of alcohol, the minor can be charged with a DUI. This is why it is referred to not a drop DUI, because a minor cannot have a single drop of alcohol in his or her body. The minor does not even need to be convicted of the crime for the driver’s license division to suspend his or her license, making it all the more important for a juvenile to obtain legal representation. If you are facing the loss of your driver’s license because you are under 21 years of age, call 801.618.1333 right away to speak to a Salt Lake City criminal defense lawyer. A lawyer can help you find out how to avoid license suspension or minimize the amount of time the license will be suspend. Do not hesitate and contact a lawyer today.